Pristine Example of a 1970 Cougar Eliminator! This Gold Grabber Orange 1970 Mercury Cougar Boss 302 Eliminator is one of those muscle cars that make jaws drop with beautiful styling and extremely well preserved originality. 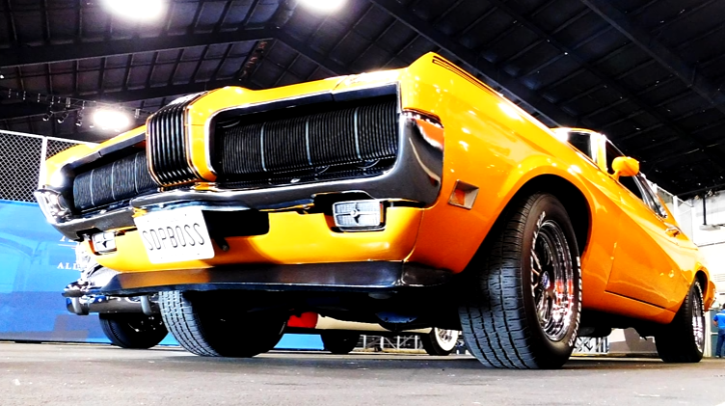 Being one of the 2000+ Mercury Cougars produced in 1970 in Gold (Code U) color and one of only 468 powered by a Boss 302 V8 engine paired with a 4-speed and factory Super Drag Pack this Mercury Cougar Eliminator is perfectly restored, Marti reported and was auctioned at the 2016 Auburn Fall Collector Car Weekend. Check out Scottie’s video to see this beautiful muscle car up close. Watch, Enjoy & Share!